A big thank you from Renee and June for all those families who braved the weather to reach the beautiful venue, and stopped to listen to story and poetry about nature and Queensland and to the Sprout Sunday organisers, Gold Coast Green Living and Botanical Bazaar, and venue Host, the Surfer’s Paradise Golf Club, for having us at this day. 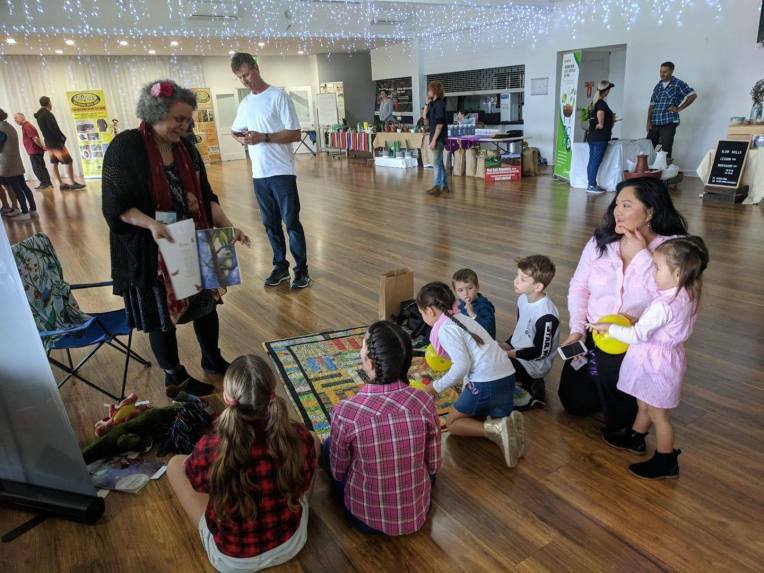 The indoor fairy lights and the hall of the Surfers Paradise Gold Club were quite magical, and we were happy that the farmers received their rain and thankful it cleared up a bit later in the day. A special thank you to the wonderful young people who helped read the dialogue poems and show many of the animals featured in the Discovering Magic poem. Announcing that Magic Fish Dreaming is now stocked by The Book Garden. Looking forward to Magic Fish Dreaming reaching more schools and childcare centres! 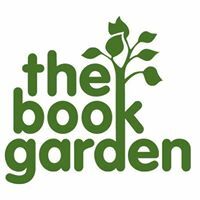 The Book Garden is proudly Australian owned and currently celebrating 38 years. They are part of the American Bookstore and have a physical location in Brisbane. A momentous event took place in a Sydney garage on September 14th 1980. Encouraged by our father (bookseller Maurice Zavelsky), we (Deborah and Carmel) began The Book Garden. We started the business with a tiny budget, a small range of stock and two cars. We split Sydney into two sales areas and began visiting schools and childcare centres with boxes of books for sale. After the death of Maurice in July 1981, Deb moved to Brisbane. It was here that The Book Garden put down roots inside American Bookstore. These works were created in a two hour workshop with June Perkins and Helene Magisson for the Summer of Reading Program with the Brisbane libraries, held January 2018. The host libraries were Chermside and Toowong. The above photographs of the art are shared with consent of artist/writers and taken by Helene Magisson. A big thank you to the staff at both libraries who assisted with the set up of the room and other practicalities as well as giving us warm introductions. Thanks also to the wonderful children. The following two photographs of the workshop in action are courtesy of the Brisbane libraries.